Established in 1991, Roaring Water Bay Rope Mussels is family-run business specialising in the exporting of bulk and live shellfish to wholesalers and distributors throughout Ireland and the rest of Europe. Roaring Water Bay is the southernmost bay located in the extreme South West coast of Ireland. It derives its name from the sound of the surrounding waters, powered by the Atlantic gales, crashing against the numerous rocks and islands which make up this majestic coastline. Exposed as it is to the Gulf Stream, the climate is moist and mild, and although strong winds are often experienced, the area is rarely touched by frost. 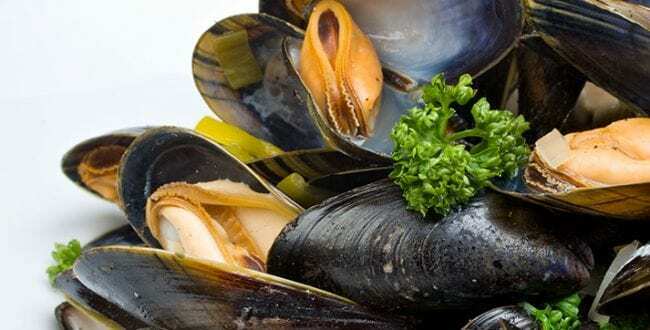 It is in the specially protected waters of Roaring Water Bay that all our mussels are grown, resulting in plumper, sweeter and more tender mussel meat, guaranteeing that the cultivating environment is free from pollutants found in many other modern marine environments. All the mussels are cultivated on long reusable ropes, which are suspended into the crystal-clear Grade A waters of Roaring Water Bay. This method of production means the shells never touch the sea bed, guaranteeing they will be free of grit that often spoils the taste of mussels that have been allowed to touch the ocean floor. Roaring Water Bay Rope Mussels are 100% committed to eco-friendly, sustainable and environmentally responsible production. All their growing, processing, packaging and office facilities implement waste management and recycling programmes. They work the ropes more often, to ensure uncluttered rope space for each mussel, in order to maximize growth potentials, allowing them to grow large, succulent and tastier contents.